The High Commission of India is privileged to announce that the most revered Relics from Sarnath would be in Sri Lanka for public exposition on the occasion of Vesak. This is the first time these Sacred Relics are being brought to Sri Lanka from India, and special arrangements have been made by the Government of India for this purpose. The public can pay homage to these Relics at Temple Trees in Colombo from April 28 to May 2, 2018. The Sacred Relics of Sarnath are yet another manifestation of the shared Buddhist heritage of India and Sri Lanka, which forms a spiritual bond between our two nations. These Relics are enshrined at Mulagandhakuti Vihara at Saranth in India. Sarnath is historically significant since Lord Buddha preached his first sermon there. Anagarika Dharmapala, founder of the Maha Bodhi Society of India, played a key role in building Mulagandhakuti Vihara to restore the glory of Sarnath. The land and the Sacred Relics were gifted to the Maha Bodhi Society of India by the Government of India. A specially made casket secures these two most revered and authentic Relics. The first Relic, enclosed within the silver casket enshrined in Vihara, were found by Sir John Marshall in 1913-14 near the ancient city of Taxila (Takshasila). They were found in a small Buddhist chapel close to the Dharmarajika Stupain, a silver reliquary with inscriptions dating the year 136 (circa 79 A.D). They were recorded as the relics of the Blessed One. The second Relic enshrined at Sarnath was found by Mr. A. H. Longhurst of Archaeological Survey of India in 1929 in a large Stupa at Nagarjunakonda in the Guntur District of the then Madras Presidency. 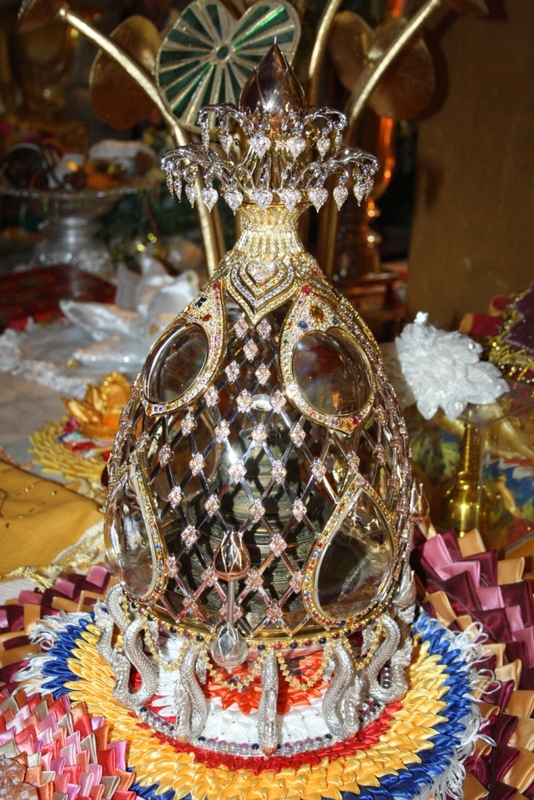 The Stupa in which the Relic was found is described as the Maha Chetiyaor viz. the ‘Great Stupa’ of the Blessed One. The High Commission of India thanks the Mahabodhi Society of India for loaning these Sacred Relics for exposition in Colombo. This is the second time that the High Commission of India has taken an initiative to exhibit the sacred relics of Lord Buddha in Sri Lanka. The first time such initiative was the exhibition of the Kapilavastu Relics in 2012.